I am Polyphonic. Type with me. 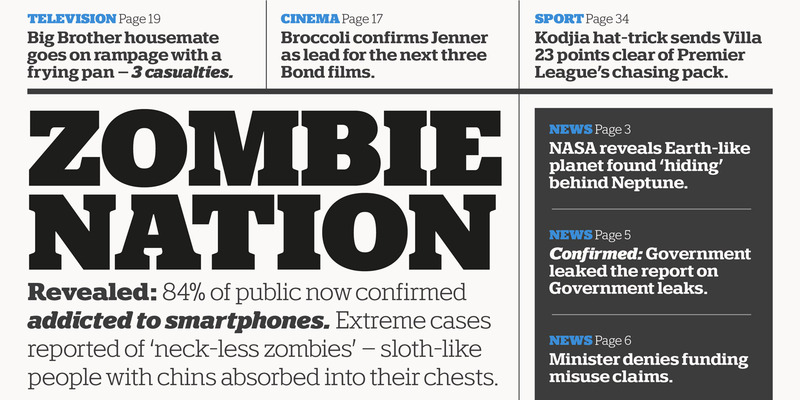 A versatile 60-font slab serif type family. 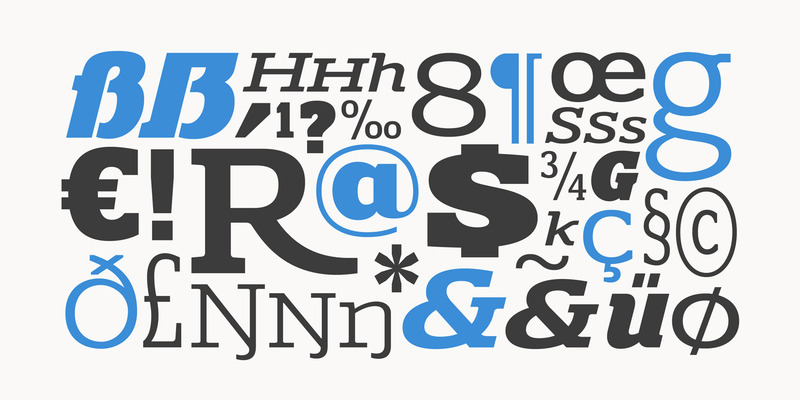 This expansive, highly versatile typeface has been designed to convey messages clearly and distinctly, with each of its 60 “voices” having a specific tone and pitch. Used singularly, each voice has a refined resonance, when combined in polyphony, the voices sing in harmony – giving you the perfect instruments to compose and orchestrate your typographic designs. That sounds really pretentious doesn’t it? Good, it was meant to be, but the essence of it rings true. The fonts in the Polyphonic family were all designed with the aim of achieving perfect balance and harmony, each having its own distinctive voice, a polite and pleasant tone – never shouting, never attention-seeking. Its overall personality being understated and formal, there are no frills with this typeface, it conveys messages simply and efficiently without any of the above hyperbole. Please try the fonts here for yourself using the Type Tester. If you like what you see, you can purchase Polyphonic from my reseller partners. Be sure to check all the links as promotions are available occasionally. For Polyphonic, I turned to the genius Vaughan “brothers” – the composer Ralph Vaughn Williams, and the Psy-trance/Ambient artist, Benji Vaughan. Some might say the two Vaughans are polar opposites, but I believe the common ground they share helped form the precise balance and harmony that I have hopefully achieved with Polyphonic. Benji’s track The Logic of the Polyphonic also inspired the name… I’m having that! 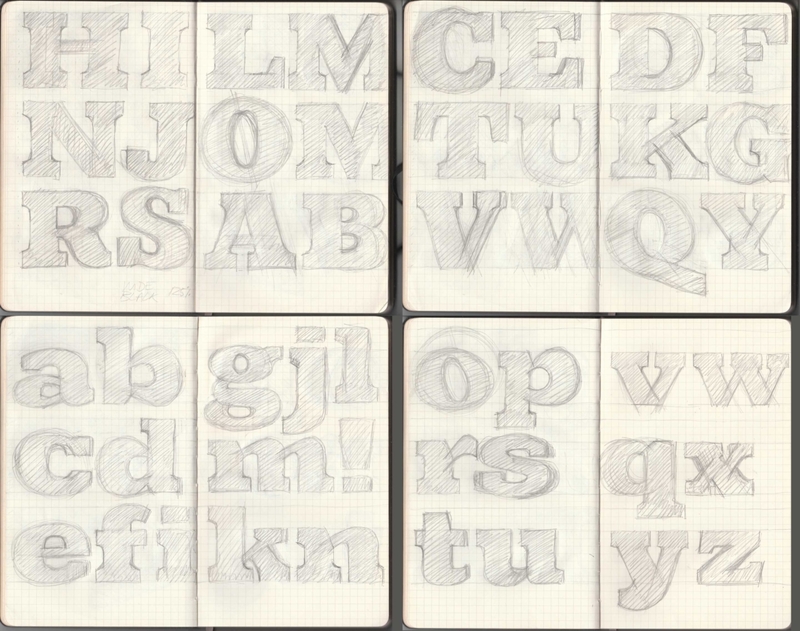 Further inspiration for Polyphonic came from a weekend with my head in Steven Heller and Louise Fili’s book Slab Serif Type – A Century of Bold Letterforms, and, of course, my 30+ years’ experience of working with type, which comes in handy! Sketches ensued followed by weeks’ of development and refinement. Now that the fonts are published and I am looking back at these initial sketches, I can see that I remained faithful to these rough ideas – which is pleasing on a personal note because it suggests that my sketching is improving! As you can tell, sketching is not my forte. With all the varying influences and my picking and choosing the best elements from all of them, perhaps the outcome is a little homogenized? But ultimately I was aiming for balance and legibility, particularly in the lighter weights which could well be used for body text. 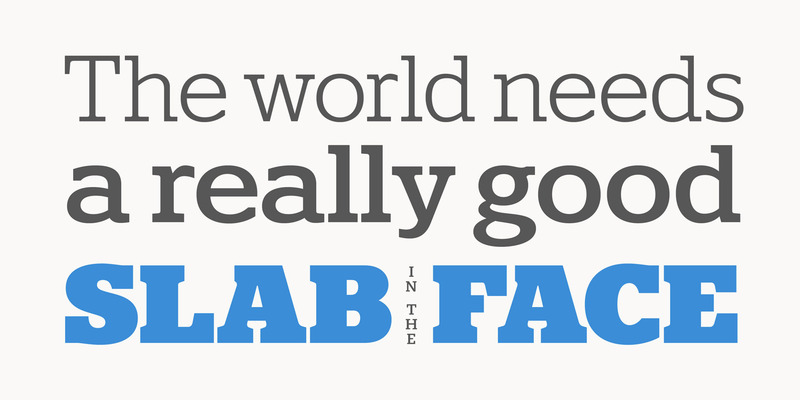 The heavier weights are then the perfect complement for titles, headings and logotype options. I normally cram as many features into my typeface designs as I can, however, with Polyphonic I have shown a fair amount of restraint. Mainly because once I had the main character set drawn, I felt it didn’t need any further flourishes. I did experiment with some alternates* but swiftly ditched them in favour of keeping things simple. So, as stated, this is a “no frills” typeface, meaning that it concentrates on getting the job done efficiently, without fuss and distractions. 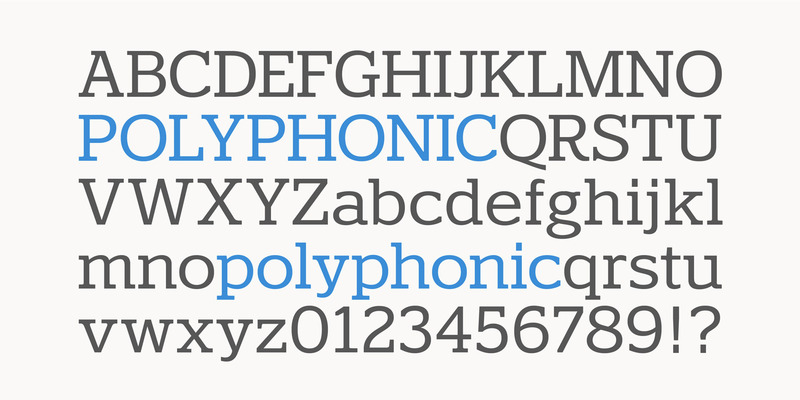 Just type and Polyphonic will deliver. That is not to say that there aren’t any bonuses – there is extensive European language support (Latin only), Old Style Figures, and Small Caps are available too at the click of a button. The 60 fonts are spread over 6 weights and 5 widths – Condensed, Narrow, Regular, Wide, and Extended – so you’ve plenty of versatilty and scope to create some polyphonic designs of your own. Please peruse the Specification Sheet to see all available options. *Actually, an alternate swash /R/ remains, and there was a requirement for a /gg/ ligature in some roman weights to prevent clashing. 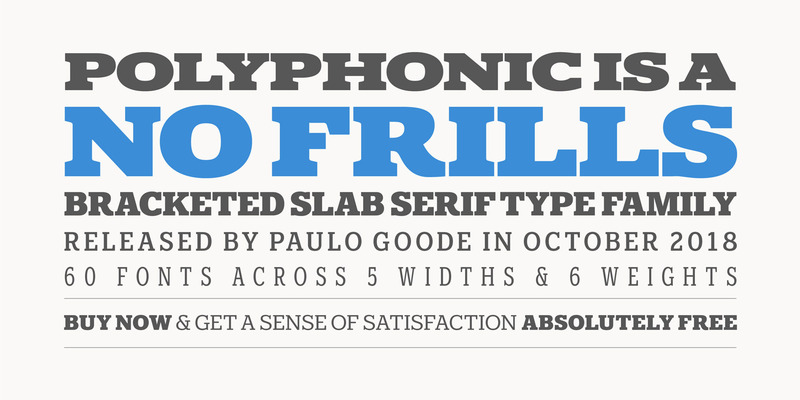 Please note this is only a small selection of the full Polyphonic family and each font has a very limited character set. Please visit my font reseller partners to access the entire family. Select a sample text abcdefghijklmnopqrstuvwxyz ABCDEFGHIJKLMNOPQRSTUVWXYZ The quick brown fox jumps over the lazy god. Where can I buy Polyphonic?